Friends, family and the local community will be celebrating the life of Alice Gross this Sunday. Teenagers who knew the fourteen-year-old from Hanwell will be joining other musicians, performing in a special festival at Boston Manor Park. Alice's body was found in the River Brent on September 30th last year. She had been missing for a month and her disappearance and death had a massive impact on the area. Police believe she was killed by Latvian builder,Arnis Zalkalns, whose body was found hanging in Boston Manor Park. Tomorrow (Friday 5th) 14 black poplar trees will be planted at the park - one for each year of Alice's life. On Sunday a festival ' Celebrating Alice' will be held starting with a memorial walk from the Fox pub (11am) along the canal to Boston Manor Park. There will be refreshments and activities in the park as well as music in the walled garden.
'' With our involvement in the local community we have regularly been asked how we could bring the community together to not only reclaim our open spaces after the dark days but also to give strength to the family. It is felt that the time is now right and with full support from the family various activities have and will be taking place in Boston Manor Park". Amongst those who have volunteered to help at the music event is Daniel Ramdeen from Intermate Connection PA and Sound Hire, whose son, Warren, was killed last year at his home in Northolt. Jai Blue is a 15 year old singer/songwriter from Ealing who is passionate about writing, art and music. She wrote her first song aged 13 called "No Quitter" which was her own personal experience of not giving up. She hasn't stopped writing since. Jai has performed in and around West London and hopes to inspire others through her lyrics. She has recently started a YouTube channel 'Jai Blue' which contains original material. 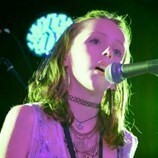 Stacey is a vocalist guitarist who is currently studying BA popular music at the University of Northampton. She is a former student of Forecast Academy and has performed at various open mic nights over the past year. More recently Stacey shot a music video for the soon to be released short film Star Cross. Misinterpret is made up of students aged between 14 and 17. They all knew Alice very well and some had been good friends with her since primary school. The band have been together for less than six months and came second in the battle of the bands competition. With a number of gigs lined up for the summer they are really enjoying playing music together. This lively band is made up of dedicated amateurs and can consist of anything from eight people to 25. They regularly get commissioned to perform at gigs around the west London area and, without hesitation, agreed to support the Celebrating Alice event. The Great West Groove are a roots/blues trio of professional musicians playing with a number of artists all over the UK. They have been playing together for the past five years. Brentford/Hanwell-based they are going to be playing at the Brewery Tap, Brentford, as a fringe event to the Brentford Festival on Saturday September 5. Kate is a professional singer and actress who lives in Brentford and heads a very talented group of musicians promising to bring much enjoyment to the Celebrating Alice event. They are a lively, funny, quirky, hugely energetic jazz funk band. They take well-known songs and give them a new twist. They like their audiences to dance, laugh and have a great time! Alex, 16, and 15-year-old Collette attend Elthorne Park High School, Hanwell, and have been performing together for approximately two years. They are looking forward to performing at the Celebrating Alice concert. Amy and friend will be performing in the acoustic tent at the Hanwell Carnival in memory of Alice and are delighted that they will do the same at the Celebrating Alice event in the walled garden on Sunday. Charity boxes will be located around the park for donations to Alice's Youth Music Memorial Fund which has already raised over £23,000.